Holy hot air balloons is it busy around these parts. Is it a painting? Is it a print? WELL, it's kind of both... It is a hand painted canvas panel. 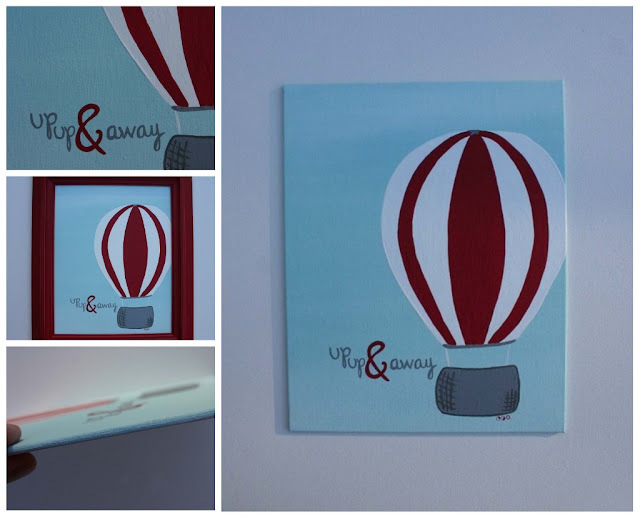 You get the hand painted-ness on a thin panel you can frame. I love it, especially in a bright, fun frame. You can find it in the shop along with some other new paintings and cards. is one of my Handmade With Purpose items. I have just been, ummmm, busy. and I have to finish an over-due painting someone has been ever so patiently waiting for. Oh, PS, are you blogging barefoot tomorrow? I am.